The bodytrim® program has helped thousands of Australians, men and women, lose weight with our 12 week online weight loss program. Bodytrim®’s complete program is simple, liveable and gives you all the tools and products you need for your weight loss journey. There‘s no calorie counting, no extreme diets and no strenuous workouts. Instead enjoy real food and do low intensity exercise to achieve sustainable results. The bodytrim® program teaches you how to gradually introduce nutrient dense whole foods into your diet with the goal of developing sustainable healthy eating habits which will set you up for long term success. Who is the bodytrim® program designed/suitable for? The bodytrim® program is designed for adults looking to lose weight! 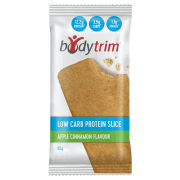 Where can I buy the bodytrim® products? Our products are sold at Coles and Woolworths. They can also be purchased via our online retailers. In New Zealand our products are sold in Countdown, and selected Pak’nSave and New World stores. I am experiencing issues login/using the bodytrim® website. How can I get help? Can I follow the bodytrim® program if I am pregant or breastfeeding? The bodytrim® program is NOT suitable for those who are pregnant or breastfeeding. Weight management programs during pregnancy and breastfeeding will not meet your increased energy and nutrient needs, and severely restricting your food intake along with fast weight loss can affect the development of the fetus during pregnancy and the quality of the breast milk during breastfeeding. Nutrition is highly important during this time, and we recommend using whole food sources of nutrition rather than Meal Replacements to help meet both yours and your baby’s nutrient requirements. Can I follow the bodytrim® program if I am lactose intolerant? 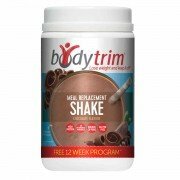 The bodytrim® program does involve the use of shakes as meal replacements. You will consume three bodytrim® shakes each day for the first three days of the program, following this you will gradually decrease your use of these meal replacement shakes while introducing more whole foods. The bodytrim® Shakes are dairy based, so if you are at all sensitive to dairy products then we would advise against doing the bodytrim® program. Can I follow the bodytrim® program if I have type 2 diabetes? The bodytrim® program may be suitable for those with type 2 diabetes, however we strongly advise you speak with your diabetes specialist before embarking on this program as they will be able to advise you based on your medical history. 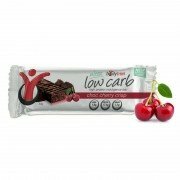 Are the bodytrim® products Gluten Free? 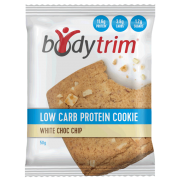 The bodytrim® Shakes (both Vanilla & Chocolate flavour), the Ultra Low Carb Cookies (Choc Chip, Double Choc & White Choc) and the Baked Slice Choc Fudge are Gluten Free. Are the bodytrim® products suitable for vegans? All our products are dairy based and therefore NOT suitable for vegans. Can I drink diet drinks or alcohol whilst on the bodytrim® program? We recommend trying to wean yourself off artificially sweetened soft drinks and energy drinks. These beverages are lacking in nutritional value, and some research has found that non- calorie sweeteners might still encourage your cravings for sweet sugary foods, meaning that if you have a rough day you might just reach for the chocolate biscuits instead of a more nutritious option. Can I drink coffee whilst on the bodytrim® program? Yes! But we suggest a limit of no more than three cups a day. During the Trimsition and Bodytrimming phases you can add a splash of milk to your coffee. Espresso coffees are allowed during Trimsition and Bodytrimming but choose a small size and no more than 1 per day. Is sugar or natural sweetener allowed whilst on the bodytrim® program? Natural sugars (i.e, those found in milk or a piece of fruit) are fine, but the refreshed bodytrim® program aims to reduce your intake of added sugars, so this means none of the white stuff in your hot drinks. If you need to add a little sweetness to your drinks then Stevia is a good option. What If I am still hungry whilst on the bodytrim® program? If you are still hungry try sipping on some water or soda water with a little lemon juice, or enjoy a nutritious serve of non- starchy vegetables. What is the difference between the old and refreshed bodytrim® program? There are a few changes to the bodytrim® program. The refreshed program begins with a three day FAST Start phase, where instead of the high protein, low carbohydrate ‘Detox Phase’ (old program) we have now incorporated bodytrim® meal replacement shakes. These shakes are different to the previous bodytrim® shakes which were recommended as snack options. The new shakes are nutritionally balanced ‘Meal Replacement’ shakes. They can be used in place of a meal as a convenient, nutritiously balanced, option to help ease you into the program. As these shakes are meal replacements they do need to contain a higher amount of energy/calories so as to provide the body with some sustenance. Over the course of the program you reduce the number of meal replacement shakes as we teach you how to incorporate more whole foods into your diet. The new program is a bit more relaxed in terms of not being super high in protein and low in carbohydrates and fats. It is designed to assist you to incorporate healthier forms of carbohydrates and fats in the form of Balanced Meal Formulas – with the hope that these will give you a bit more freedom and variety with your meals, resulting in more sustainable dietary habits in the long term. Why do the bodytrim® meal replacement shakes contain sugar? As these shakes are meal replacements they do need to contain a higher amount of energy/calories so as to provide the body with some sustenance. Some of this energy/calories does come from sugars however, the majority of sugars in the bodytrim® shakes is naturally occurring lactose (milk sugar) which is coming from the milk ingredients used in these shakes rather than added sugars.